Vernon Alabama’s Gospel Music Weekend will be held Sept. 6 – 7, 2019 at the City Auditorium in downtown Vernon, Alabama. This family-friendly event is open to all ages and groups. Admission is free. The weekend will feature multi-talented gospel artists showcasing a variety of musical styles, including Southern Gospel, Christian Country, and Bluegrass. Evening concerts begin at 6:00 p.m. Many artists appearing are M.A.C. Records recording artists, including Jesse Reece, Jessica Horton, McKay Project, Carol Barham, Kenny Gardner, and Amy Richardson. Also appearing are special guests the Bibletones, Eagle’s Wings, Day Three, Chronicle, Hope’s Journey, The Riders, Gloryland, and Zion’s Way. In addition to the nightly concerts, this year there will be a Saturday afternoon showcase concert featuring various regional artists. Concessions will be available. Artists interested in performing during the showcase are invited to call the promoter listed below. General admission is free, however, VIP passes are available this year. VIP guests will receive special priority seating, a bag of merchandise, and a private meet and greet reception with the artists. VIP passes are only $25. I imagine most of us are familiar with the term “wake up call.” If you are staying at a hotel, you may request a wake-up call at a certain time and a member of the staff will call your room to ensure that you wake up. Another definition of a wake-up call is something that happens to get your attention or to prompt you to change course, realize or recognize that you need to do things differently, or take stock of your life, etc. Recently, we were staying at a hotel in Birmingham, Ala. After a long, but fun day of shopping we settled in for the night. The next morning was going to be an early one because we were heading back to Mississippi to be in church. We needed a good night’s rest. However, around 1:30 a.m. we were horrifically jarred from our sleep by the fire alarm going off in our room and the repetition of a woman’s voice telling us that a fire had been detected in the building and we needed to evacuate immediately. We jumped up and after taking a few minutes to gain our senses, we threw on some clothes, grabbed blankets and headed out the door and down four flights of stairs. I would venture to say that very few people use the stairs in a high rise hotel or even pay attention to where the stairs come out of the hotel. When we emerged, we were in a basement parking garage and near what looked like a loading dock. We could hear the sound of fire trucks approaching. The hotel alarm was still blaring and the woman’s voice was repeating the message over and over to evacuate. We made it to the street level and saw other people like us that had dressed quickly, hair in a “hot mess”, and walking toward the front of the hotel. We followed. You can imagine what was going through our minds…is it real or is it a prank? If it is real, what did we leave behind? If it is a prank, then I hope they catch who did this because it is not funny. As we approached the front of the hotel, there was a group of people dressed in formal wear sitting leisurely in the front lobby. We noticed them earlier in the day. They were there to celebrate a wedding. Obviously, from their calm appearance, it was apparent that this was a false alarm and there wasn’t a fire in the building. Wow! We entered the lobby of the hotel expecting someone to take charge and provide directions, but that didn’t happen. We expected to see firemen enter the building, but that didn’t happen either. After a few minutes, the alarm stopped and people were just standing around looking at each other wondering what to do next. When nothing happened, we went to the front desk where the clerk seemed to be doing business as usual (giving directions to the pizza delivery guy that had just arrived) and asked about returning to our rooms. “Oh yeah, there is no fire… you may go back to your rooms,” was his response. You can imagine that tempers were high. As sleepy people grumbled about the interruption, we entered the elevators and went back to our rooms to attempt to get a few hours of sleep before starting the day. You may be wondering, “Where is she going with all of this?” or “What does this have to do with anything?” As I returned to bed and began to try and calm my mind to go to sleep. I felt like the Spirit downloaded some info on the inside of me about that whole experience. Everyone at some point in their life will experience a wake-up call of some kind. My “wake up call” happened when _________. It can take a variety of forms. In 2018, my husband was in a restaurant when a car came through the glass wall and hit him (miraculously, he is okay). That is an example of an extreme “wake up call”. The wake-up call could be unwanted medical news, money trouble, job loss or change, a relationship going south, or any number of things. Sometimes a wake-up call is out of our control while other times we bring circumstances upon ourselves. I want to share some thoughts that I had after our recent hotel experience which I think relate to real life when it comes to a wake up call. WHAT DO YOU DO WHEN THE WAKE-UP CALL HAPPENS? 1. Go With It – Move. We realize what is happening, we take inventory, make the necessary adjustments and we keep moving. That night in the hotel room, we assessed what was happening, got up, got dressed and got out of the building. In Acts 9 in the Bible, Saul was faced with a wake-up call when he was blinded on the road to Damascus and heard the voice of Jesus. Previously, Saul was a major persecutor of Christians and was on his way to Damascus to kill more Christians when he encountered Jesus. At that moment, Saul was confronted with who he was and who Jesus was. He immediately became willing to do what Jesus instructed him to do. Saul continued on the road to Damascus but the purpose for his trip was dramatically altered and his life was forever changed. Saul became Paul (Acts 13). His wake-up call produced an adjustment in his life that took immediate affect and he kept moving on for Jesus instead of against Him. 2. Stay in Chaos and Confusion. The wake-up call happens and we stay in a state of chaos and confusion; constantly scrambling and trying to keep our head above water. My daughter and I laugh at my husband. He is a very deep sleeper and when he was jarred awake by the fire alarm he had no idea what was going on. For a few minutes, he was standing up, sitting down, standing up, sitting down, and scrambling just to get awake enough to process what was happening in the hotel room. In the Bible, Jonah is an example where his wake-up call found him in a state of chaos and confusion that he brought on himself (and others). God told Jonah to go to Nineveh and preach repentance to the people. Jonah didn’t want to go so he ran the opposite direction. He made his own plan and boarded a boat heading for Tarshish. Jonah’s actions affected more than just himself. While out to sea, a monstrous storm came up and the crew was terribly afraid because they thought they were going to die. They called out to their gods and even threw their cargo overboard to lighten the ship. In spite of all that chaos, Jonah went below deck and fell asleep. Either that was some serious denial or he really didn’t yet understand the gravity of his situation. Eventually, the members of the crew decided to cast lots to see who was responsible for the awful storm and it fell on Jonah. They woke him up (another wake-up call) and asked him how in the world he could sleep and who he was and what he had done. He told them he was a Hebrew who followed the Lord God of heaven who made the sea and dry land. Jonah told them he was running from God. The storm got worse and they asked Jonah what to do. He told them to throw him overboard because it was his fault. The crew didn’t want to throw him over and tried to row in spite of the storm but it grew wilder. Reluctantly, they threw Jonah over and the sea became calm. As if that wasn’t enough, Jonah was swallowed by a great fish. In the belly of that fish, Jonah answered his wake-up call and repented and agreed to do what God asked. He went to Nineveh and preached to the people. Sometimes we bring the circumstances for our wake-up call upon ourselves by the choices we make and many times those choices affect other people. In the story of Jonah, the crew was affected by his choices. They probably sacrificed valuable items when they threw their cargo overboard in an effort to fix the situation. Even after the crew knew they needed to throw Jonah overboard, they put it off and tried in their own power to row back to land. Isn’t that sometimes how it is? Our world may be in chaos and everyone around us can see what is going on and they are trying to help us, but we have yet to wake up. It wasn’t until Jonah was alone in the belly of the great fish that he surrendered and decided to obey God. The fish spit him out and this time when God told Jonah to go to Nineveh, he went. The point is not to stay in a state of chaos and confusion but recognize that God only wants the best for us and surrender to Him. 3. Do Nothing. Perhaps the wake-up call produces a fear in us that we can’t overcome and we just stop living. We are paralyzed and too afraid to do anything. We gather our resources around us and hunker down like we are waiting out a storm that never ends. Maybe we even convince ourselves it isn’t real and if we ignore it then maybe it will go away. Remember, the wake-up call should act as a catalyst in many cases to get us to move forward or do something different. That night in the hotel lobby, no one was gripped by fear and it was obvious that most thought it wasn’t real. We figured that if we just ignored the fire alarm and warnings they would eventually stop. Even the hotel staff continued to conduct business as usual. In Numbers 13 and 14 in the Bible, the Israelites had left Egypt and escaped from Pharaoh and reached the border of Canaan. God told Moses to send 12 spies into the land of Canaan to scout out the land. It was the land that God promised to give to the Israelites. However, when the spies returned they were so afraid of the giants living in the land that they convinced the people not to move forward. Caleb and Joshua were the only ones of the twelve that believed God’s promise that they could take the land. God was not happy with the people of Israel because of their lack of faith and their complaining. He declared that none of the people over 20 years old would enter the land that he promised with the exception of Joshua and Caleb and their descendants. They wandered another 40 years in the wilderness. Their fear and decision to do nothing resulted in the delay of receiving or moving into the land that God had promised them. When the wake-up call happens in our lives, it can be scary but we can’t let fear grip us and rule our lives. Fear is a liar and God is not about fear. I believe wake-up calls are part of life. Some are more intense than others, but we have a choice as to how we respond. I believe God has a purpose and a plan for each of us and wants the best for us. When those wake-up calls happen in life, I want to challenge you to ask yourself, “What can I learn?” Then…get up, dust yourself off and keep moving forward. Your best days are ahead of you! Leslie McKay is a writer for SGNScoops Magazine and is also a member of McKay Project with her husband, Dennis. Together they are McKay Project and own M.A.C. Records. Find out more about Leslie McKay here. Jessica Horton is a singer/songwriter from Columbus, MS. She was raised in classic country and gospel, and the soul and sound of these classics often find their way into her music. Her songs feature the acoustic guitar, dobro, mandolin, and other roots instruments. 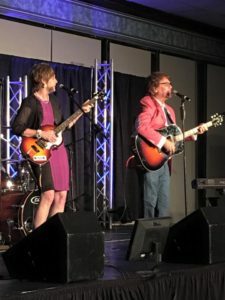 On stage, Jessica brings a live aspect to her show by playing guitar and including singable old-time hymns and gospel songs. Off- stage, Jessica spends a lot of time with her husband, David and her church family. 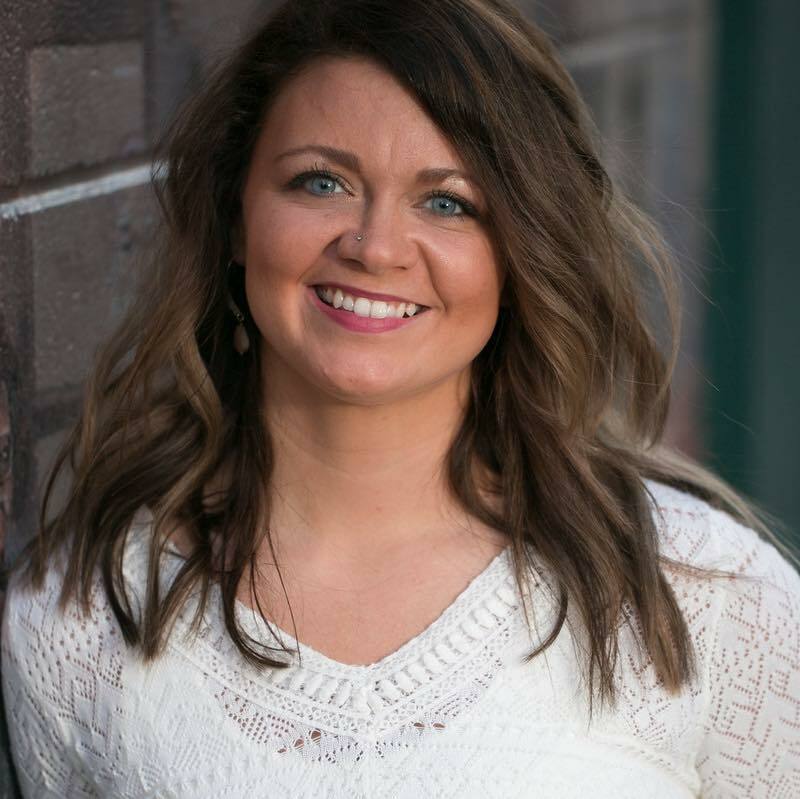 She serves as worship leader and youth director at Shaeffer’s Chapel United Methodist Church in Columbus, MS.
Jessica is originally from Eupora, MS, and she grew up singing classic country with her “Pop” Jess, starting when she was only 3 years old. He taught her guitar and piano, and they traveled to different schoolhouses, opry houses, festivals, and election events to perform. When he passed away, Jessica focused more on her classical studies as a music major at Mississippi University for Women, where she earned a degree as a soprano vocalist and music educator. In 2018, with the encouragement of her husband, Jessica reached out to Dennis and Leslie McKay with M.A.C. Records in Columbus, MS. Shortly after, Jessica signed with the label and began working on her first single “Love Wins.” She released her second single, “Pictures” in November 2018, and it has already charted in Christian Country and gospel charts. These two songs will be on her project “Both Feet In,” due to be released in March 2019. You can find her singles on iTunes, Spotify, Amazon Play and any other online music outlets. 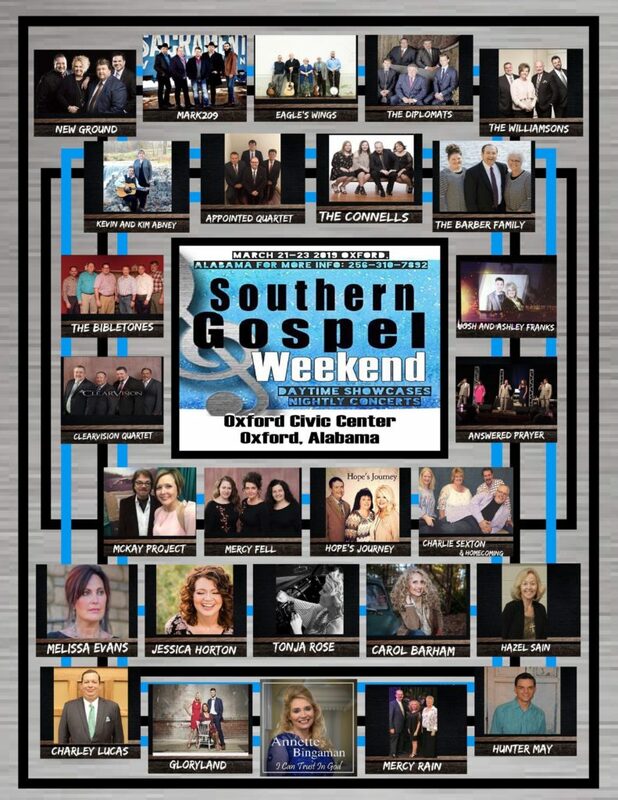 Southern Gospel Weekend will take place March 21-23rd at the Civic Center in Oxford, Alabama. The event will feature 25 other groups like New Ground, Josh and Ashley Franks, The Diplomats, The Williamsons, the Connells, ClearVision, Hope’s Journey and many more. Call today to reserve a VIP Ticket or to inquire about the event. The number is 256-310-7892. The beginning of a new year often signals the beginning of new seasons and opportunities. For Rhonda Richardson this season marks the beginning of her solo ministry as well as becoming the newest member of the M.A.C. Records family. “I feel like M.A.C. believes in spreading the gospel and does all they can to help the artist that God blessed with talent. They are always available and ready to assist in any way. 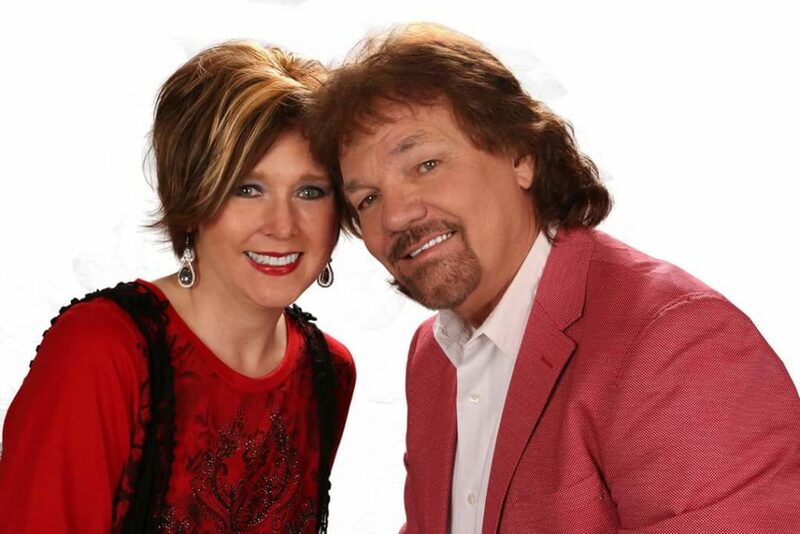 Dennis and Leslie both have a servant’s heart and only want to spread the good news through music. They love what they do and love helping others to do the same. I’m excited to continue my journey with M.A.C. Records and the McKays,” remarked Rhonda. Previously, Rhonda was co-founder of the group, Trinity 3, and enjoyed five great years traveling, singing, and doing ministry with the group. Seasons change and Trinity 3 recently made the collective, mutual decision to dissolve. However, Rhonda knew she wasn’t ready to stop; if anything, she was ready to ramp things up and felt God calling her to her own ministry. Rhonda is currently working on her first solo project at Studio 115A in Columbus, MS with Dennis McKay of M.A.C. Records. 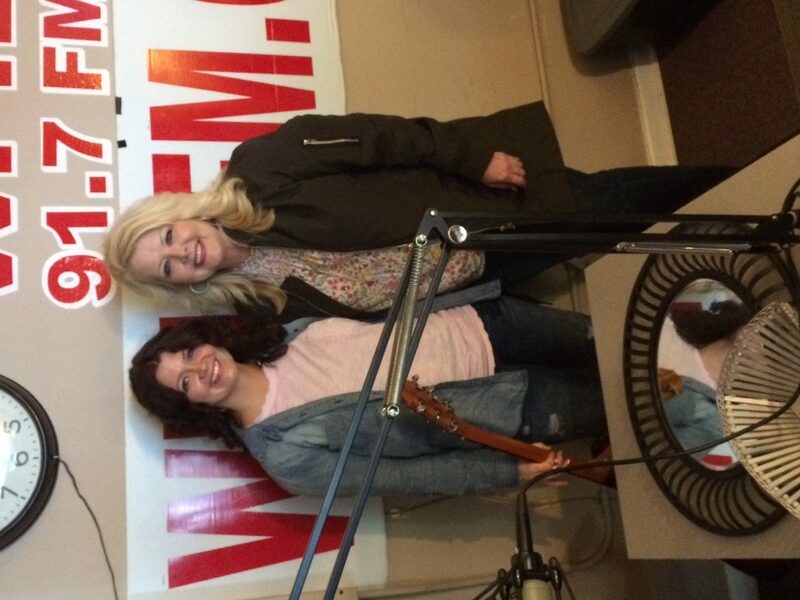 The project will include original songs and great old hymns with Rhonda’s own twist and personality. Rhonda will be part of the great lineup of artists that will be at Southern Gospel Weekend 2019 in Oxford, AL in March (Facebook: @southerngospelweekend). 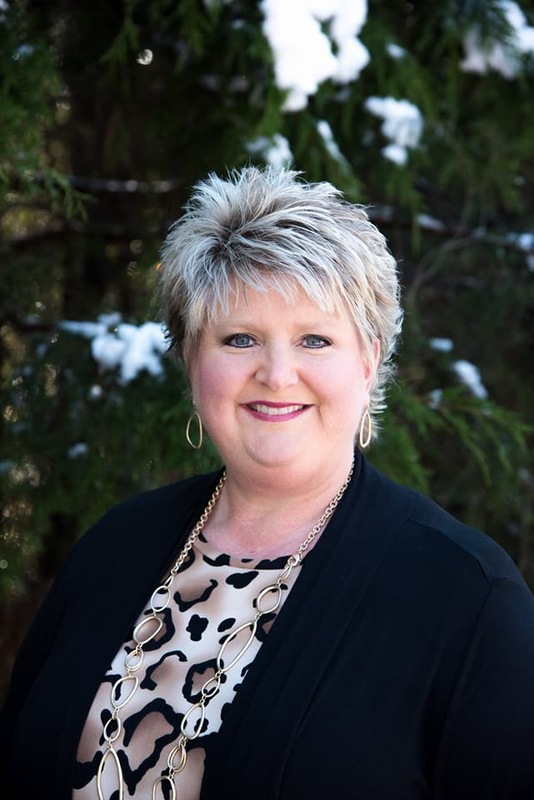 “We are so excited that Rhonda joined the M.A.C. Records family. She is a power singer that owns the room when she steps on the stage. When you attend one of her ministry events be prepared to laugh, cry, and be drawn into the presence of the Lord. First and foremost she has a heart for ministry and for other people. We can’t wait to see where this journey will take her and we are glad to be a part of it,” commented Dennis McKay of M.A.C. Records. Rhonda began singing as a young child when she attended church with her grandmother. Her grandmother told her that she would stand in the pew and sing and direct the choir. Some of her musical influences over the years have been David Phelps, Amber Eppinette, and The Martins. Rhonda became a Christian at the age of thirteen while attending a revival with a friend. “I can remember feeling my hands grip the back of that pew and then the next thing I knew I was face first at the altar. I felt like I could fly that night,” mentioned Rhonda. She hopes that people will see Jesus in everything she does. She admits she isn’t perfect but she knows she serves a God who loves her. 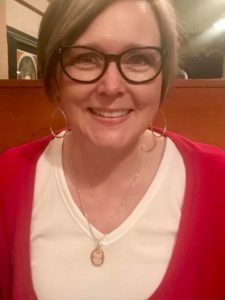 Rhonda is originally from Millport, AL and currently lives in Columbus, MS with her husband, Albert, and her son, Nathan. She and Albert also have two grown sons, two daughters in law, and three grandbabies. Rhonda and Albert enjoy camping and spending time with their family. Rhonda is available for church worship, ladies conferences, and more. Follow her on Facebook at Rhonda Richardson Ministries. To contact her, call 662.574.8655. For more information about M.A.C. Records, contact Dennis McKay at 662.889.2829 or info@macrecords.net. You can find M.A.C. Records on Facebook @musicstudio115a. M.A.C. Records is proud to announce the addition of their newest artist, Jessica Horton, to the Route 82 Records division. Jessica is an Americana/Gospel artist with a classic Country Roots style. She will be appearing at Vernon Alabama’s Gospel Music Weekend in September and making her first appearance at Creekside Gospel Music Convention in October, during the daytime showcase. M.A.C. Records owner, Dennis McKay, says, “When I first heard her sing, I thought, ‘who is this,’ because she doesn’t sound like anyone else. Jessica has a unique sound that separates her from everyone else. She isn’t interested in trying to imitate anyone and she has a sound that is recognizable as Jessica Horton. Leslie McKay sat down with Jessica recently to interview her, so everyone can get to know this new artist. LM: Where are you from? JH: I’m originally from Eupora, Mississippi. I’ve been living in Columbus, Miss., since 2007, when I started school at the W (Mississippi University for Women). When I graduated in 2012 with my Music Education degree, I worked on my M. Div. (Masters of Divinity) through Asbury Seminary until 2014. At that time, I moved to Hawaii where I lived for three years. I just returned home this past year to follow my dreams as a musician from my home in the south. LM: Tell us about your family. Are you married? Do you have kids or pets? LM: What do you do for fun? JH: I like to surround myself with people and activities that I enjoy, so I’m having fun pretty much all the time. Currently, I’m the youth minister at my church – Shaeffer’s Chapel UMC. A lot of my free time is spent with the youth or planning for them. I really enjoy working with our students at Shaeffer’s Chapel UMC and being a part of their faith journey. I am also the contemporary worship leader. LM: When did you start singing? Do you play any instruments? Blackhawk School in Carroll County. I also remember getting to meet Miss Kitty Wells herself when I was about 12 years old. My grandpa got me the most amazing opportunity to visit with Mr. Johnnie Wright (Kitty Wells’ husband) at their home and sing some of Kitty’s songs for him. My grandpa also taught me how to play basic guitar and piano – I could learn a bit more. LM: Do you write your own songs? JH: I have been writing songs about Jesus since I was a teenager but I never played them for anyone. I stopped writing for a long time and recently picked it up again. I figure l’ve just now got some good stories to tell. LM: Who are your musical influences? JH: Vocally, I have always been drawn to Patsy Cline. Her songs have permeated every year of my life. When I’m especially missing my grandfather (he passed in 2011) and I’m craving the music that makes a memory come to life, I listen to her. As a songwriter, I am in awe of Norah Jones, Emmy Lou Harris, and Loretta Lynn. Nobody writes a song like these ladies. LM:How would you describe your musical style? JH: I’m an Americana artist through and through. My style keeps a Root-sy core and a positive message. I love to keep the classic Country sound alive by including acoustic guitar, dobro, mandolin, steel guitar, and fiddle into my projects. LM: How do you feel about working with M.A.C. Records? JH: I’m so excited to be working with M.A.C. Records. I couldn’t have dreamed of a more supportive, knowledgeable, and proactive label. I am just so proud to be added to the family. LM: What do you hope people remember about you when they leave your concert or service? JH: I hope people leave my concerts with a smile. I write my stories and I’m full of hope. With all the negative messages the world is sending, I want my stories and thoughts to make us feel clean and simple and happy. I hope, most of all, that people will hear my stories and feel as if I’m telling their’s. I hope that my music speaks to you in some way and makes you feel connected and known. We all need that. LM: When did you start following Jesus? Tell us about that. JH: I have known God since I was a child. God speaks to children in a different way, and even though I didn’t grow up in a Christian home, I heard his voice through the hymns my grandparents would teach me and I felt his presence when I was lonely. When I was about nine, I accepted Jesus as my Lord and Savior and I have followed him ever since. Every day is a journey, but my hope is to learn to trust him more and more every day and to be the best representation of his love that I possibly can be. LM: How can folks contact you? JH: You can follow me on Facebook at Jessica Horton Music or you can friend me personally. You can contact me via Messenger or you can email me at jesshortonmusic@gmail.com. I look forward to meeting all of you down the road. Watch and listen for Jessica Horton in the coming days and months. Check out “Love Wins” online and on your local radio station. Her first original project is in the works, so stay tuned for the release information. Again, Horton will be appearing at Vernon Alabama’s Gospel Music Weekend in September and she will be making her first appearance in the daytime showcase at Creekside Gospel Music Convention in October. For information about M.A.C. Records, contact Dennis McKay at 662.889.2829, or on Facebook @musicstudio115a or email info@macrecords.net. M.A.C. 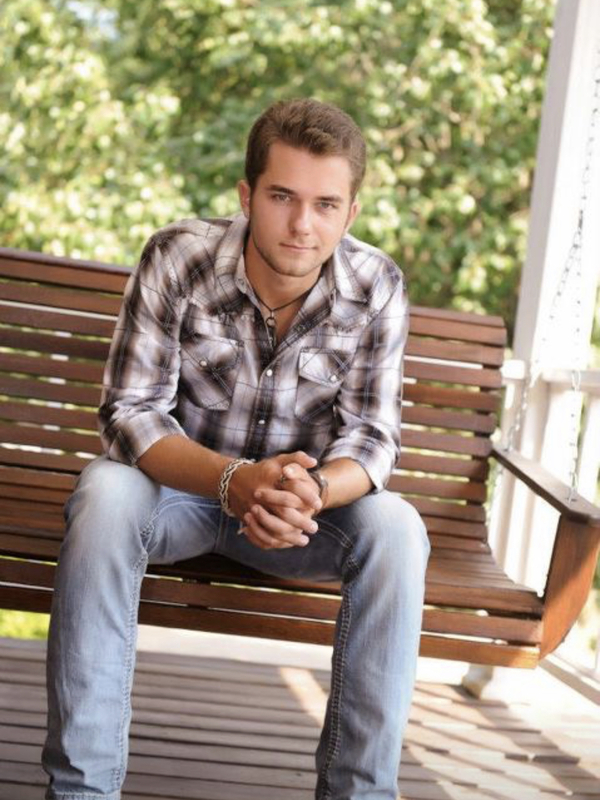 Records is pleased to announce that Christian/Country artist, Jesse Reece, has joined the M.A.C. family. “We are excited to welcome Jesse Reece to the M.A.C. Records family. We have been watching Jesse’s career for the past 4 years. He’s proven that he lives what he sings. He is a positive role for the younger generation and we wanted to be able to reach them with music they can relate to. Jesse fits that and more with music that speaks to everyone – young and not so young,” said Dennis McKay of M.A.C. Records. Jesse Reece is not a “newbie” when it comes to Christian/Country music. 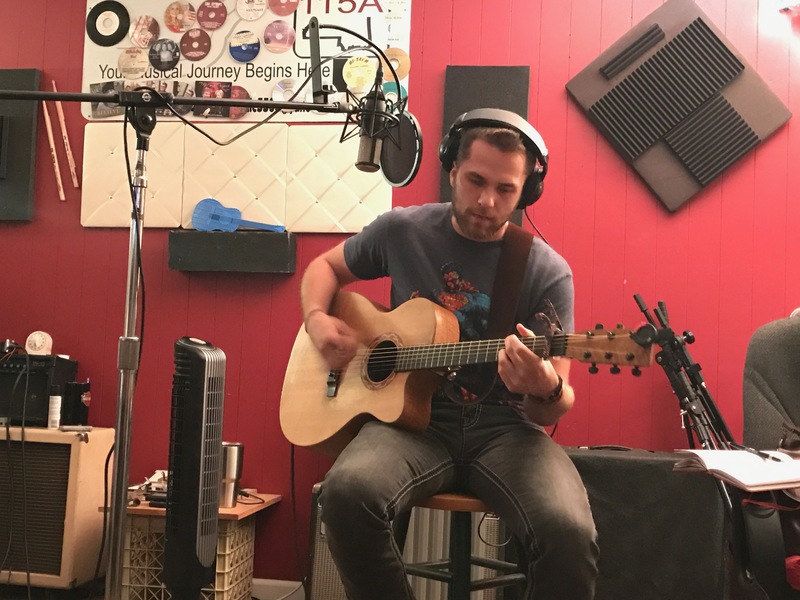 He started writing songs and singing and playing guitar about 8 years ago after a terrible car wreck that almost took his life. Jesse says that God started opening his eyes to the things that really matter and since then he has given his life completely to serving Him in all that he does. Jesse released his first album, “Finding My Way” in 2013 followed by his second album, “Brand New Start” in 2015. Jesse is an award winning artist that has been recognized in the industry for his talents. He was awarded the 2014 Christian Voice Magazine Male Horizon Artist of the Year and the 2014 AMG New Artist of the Year, as well as the 2015 ICGMA Crossover Artist of the Year. From a personal standpoint, the last couple of years have been full of changes for Jesse. He has a great family that supports his music career and that family grew just a little bit bigger when he married the love of his life, Emelia, in June of 2017. 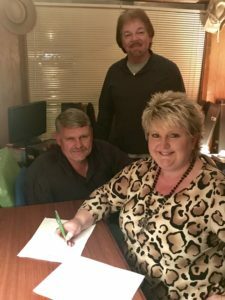 Not only did he get married, but in the midst of everything that goes along with preparing for a wedding they built a new house and now make their home in Ethelsville, AL. 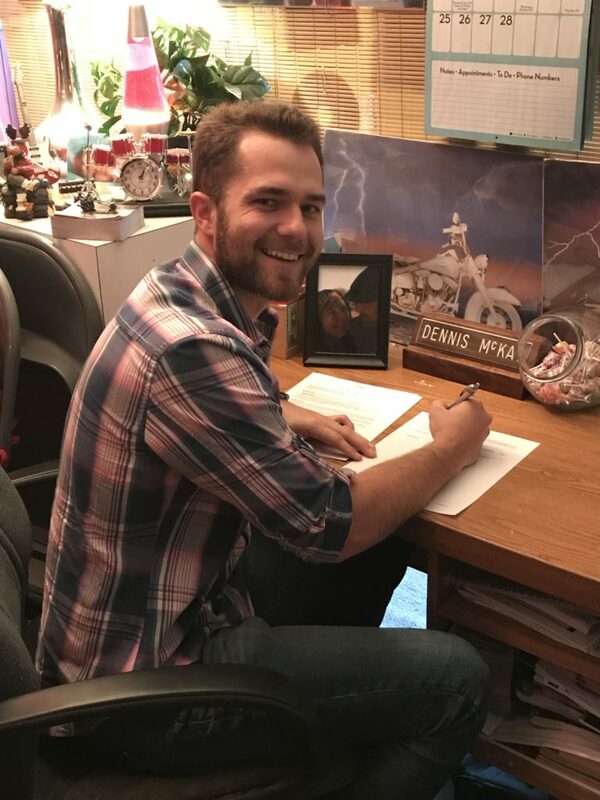 During the last couple of years, Jesse also took time to step back from the music scene and reflect on who he is and who God wants Him to be as an artist. He’s now ready to go. His first step was to look at creating a new project that is 100% Jesse Reece and that is where M.A.C. Records came into the mix. “I decided to sign with M.A.C. Records (Dennis and Leslie McKay) because they are a reputable company. I have worked alongside them for the past 3 years and they have always been quick to offer assistance in any way while never pressuring me to sign with them. I feel that M.A.C. Records has great leadership and character. It is the right fit for me,” commented Jesse Reece. In addition to releasing a brand new project, the first radio single, “Deeper”, will also hit the airwaves in the next couple of weeks. 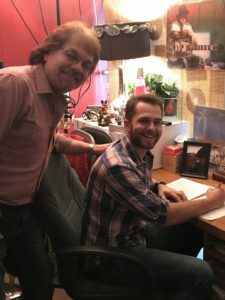 This is a really special song to Jesse because he had the honor of co-writing this song with one of the most well-known songwriters in Christian music and someone Jesse describes as “my songwriter hero” – Gerald Crabb. The song talks about going deeper with God and making it about more than just going through the motions. May 16, 2017 – Columbus, MS – Dennis McKay of M.A.C. Records/Studio 115A has announced the addition of Heath Elliott to the team. Heath joins the M.A.C./Studio 115A team in the position of Recording Engineer. Heath has a B.S. degree in Recording Engineering from Middle Tennessee State University in Murfreesboro, TN. He is a member of the Audio Engineering Society and the Society of Motion Picture and Television Engineers. 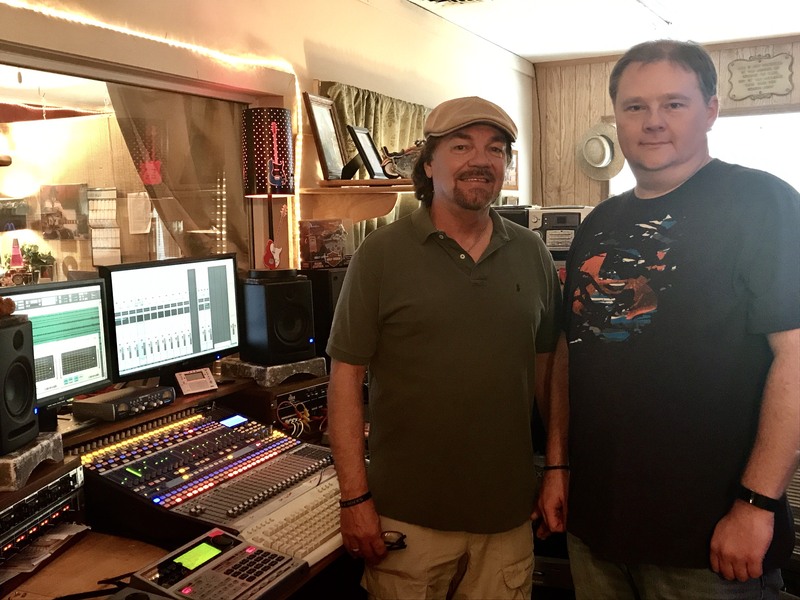 He has worked in recording studios in Nashville and has been traveling the southeast and serving as the Sound Engineer for The Pounders Family (a southern gospel group) since 2015. Heath is originally from Vernon, Alabama. “We met Heath in 2016 when The Pounders Family came in to record their project and I found out that he had a background in recording engineering. The studio is growing and I have been keeping my eye out for someone that could come alongside me and help with engineering studio projects and continue the work while Leslie and I travel with our ministry as McKay Project. I am very particular when it comes to the recording projects because this is my “baby” and always has been. 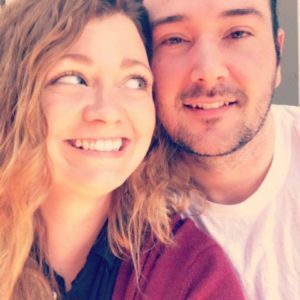 Heath started working with me in an intern capacity on various projects and now it’s time to make him an official team member. I will still be the Producer on all the studio projects and oversee things, but I am proud to have Heath on board as Engineer and look forward to great things”, said Dennis McKay of M.A.C. Records/Studio 115A. M.A.C. Records and Studio 115A are owned by Dennis and Leslie McKay and is located in Columbus, MS. M.A.C. Records is an all Christian record label and is the umbrella under which two divisions reside – Magnolia Record and Route 82 Records. Magnolia Records is for the southern gospel &amp; contemporary artists and Route 82 Records is for the Christian country artists. Studio 115A is a recording studio for all genres of music, as well as a teaching studio where Dennis teaches a variety of instruments and vocal lessons to approximately 50 students a week. For more information, contact Dennis McKay at 662.889.2829 or visit them on Facebook: Studio115A.